The true benefit of telematics is to see things you couldn’t see before. Whether that’s exact numbers and data or blind spots on the road, what telematics provides is insight and visibility into what’s going on with your fleet. And what could provide more visibility than cameras? Today, many fleets are making use of video telematics programs, which incorporate a series of cameras, including front-facing, driver-facing, and side-view and backup options, depending on the fleet’s preference. The typical program records video and sends it to the fleet if a certain parameter set by the fleet is hit (for instance, a hard braking event), allowing the fleet manager to see exactly what happened. RELATED: Read about the pros and cons of driver-facing cameras here. Let’s run through some of the options that are available. The Bendix video solution is called SafetyDirect, a web portal that integrates with the cameras from Bendix’s advanced driver assistance systems (ADAS) such as Wingman Fusion and is available pre-installed from each of the major OEMs. 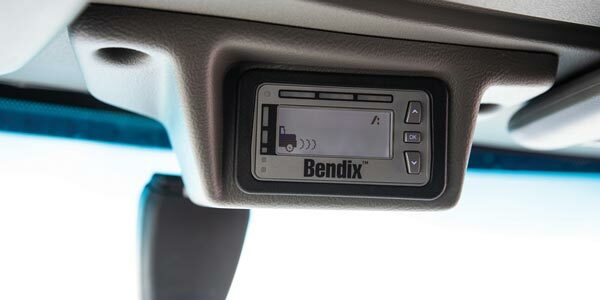 According to Brendan Buzer, product manager for Bendix Commercial Vehicle Systems, this integration is what makes their video solution unique. The Lytx in-cab video program, DriveCam, works with the fleet to set certain parameters (whether you want 12- or 20-second video clips, what events trigger the video, etc.) to automatically send video clips to the fleet manager when a parameter they’ve chosen is hit. 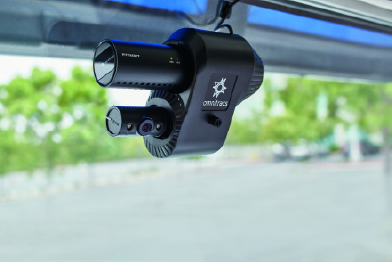 Omnitracs’ video solution is known as Critical Event Video (CEV), and supports in-cab, outward and optional inward-facing cameras. SmartDrive offers an eponymous camera-based program, which runs off of a series of sensors in the truck that assess how the vehicle and driver are performing. Video is triggered when a high-risk event—such as a U-turn, speeding or hard braking—is detected. Video and sensor data is sent to a SmartDrive driving analyst who reviews the video and adds to a driver performance portfolio, which is used to identify high-risk driving behavior and assign a driving safety score based on risk profiles configured for the specific requirements of each fleet. SmartDrive also offers an extended program called SmartDrive 360 with Extended Recording. Trimble (formerly known as PeopleNet) offers the Video Intelligence solution, which is a four-channel DVR that gives the customer the chance to choose four cameras they wish to use—including forward- and driver-facing cameras as well as backup, right and left side cameras that can be used to monitor blind spots, and come up on Trimble’s in-cab display. The camera records all of this information and stores it within 64 GB of storage, which usually covers roughly 170 to 240 hours of footage. According to Jim Angel, vice president of Trimble video intelligence solutions, this is used to store additional information beyond the event-based triggers that are sent to the fleet. “Event-based triggers go to the fleet automatically,” Angel elaborated. “When the ECM creates a deceleration rate that the customer sets within our system—for example, 12 MPH per second deceleration, known as a hard brake—that triggers a sudden stop event, which collects ten seconds of video before and after the event. We send those automatically in real time to the carrier through our web portal that day. The video technology providers universally agreed that exoneration from wrongdoing in a legal case is by far the biggest source of ROI for fleets. According to a survey of SmartDrive customers, nearly 70% of fleets using a video-based safety program find exonerations to be the biggest benefit. 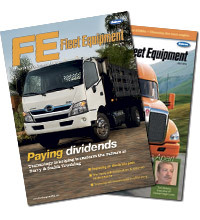 The company shared that many fleets surveyed stated that the savings on litigation from one collision offset the cost of the service for the entire fleet for one year. In many cases, Angel noted, it’s not just about sparing the driver and the fleet from financial responsibility, but about keeping the driver in the seat, as a costly accident is often grounds for termination for drivers. There are other benefits as well, which are hard to prove in the short-term but go a long way toward helping your fleet in the long-term.